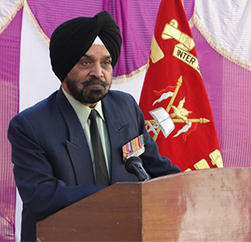 Maj Gen Baljit Singh Grewal, VSM is an alumnus of Yadavindra Public School, Patiala, National Defence Academy, Khadakwasla and Indian Military Academy, Dehra Dun. He was commissioned into Hodson’s Horse (4 Horse) in Nov 1971. He has held various prestigious command, staff and instructional appointments in his illustrious career spanning four decades. For his devotion to duty and exemplary performance as Deputy Commandant NDA he was awarded the Vishisht Sewa medal by the President of India in Jan 2010. He is serving as Director General Maharaja Ranjit Singh Armed Forces Preparatory Institute at Mohali since Oct 2010. 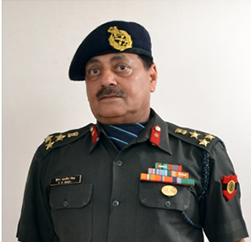 A 1974 Commissioned officer, Brig (Retd) KD Singh, BE (Telecom), MBA served the Army for 37 years, in the Corps of Signals. His service highlights include the unique exposure and experience gained as a Psychologist for a duration of 31/2years at 34 SSB, SCE, Allahabad as also a second tenure at Selection Centre Central, Bhopal as Senior Psychologist and Call Up Officer. He is well versed with the nuances of selection process for induction of candidates in the Armed Forces, and has assessed over 3000 candidates. Other Important career milestones are Command of a vital Communication Unit in Cl (Ops) in J&K during ‘OP Vijay’ (Kargil War), Chief Signal Officer (CSO), of a Corps in Nagaland, Commander and Instructor Class ‘A’, Faculty of Combat Communications (FCC) at Mil College of Telecommunications Engg (MCTE) Mhow (MP).